This February has been jam packed with holidays and special school events to learn about and celebrate. It has been a long month of celebrations and disruptions to our normally scheduled programming learning. But despite the possibility of holiday/special day fatigue I am really excited that Leap Day is falling on a teaching day. I even started doing some activities last week I am so into it! 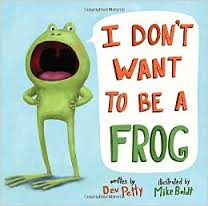 Last week we started with a frog directed drawing and a writing prompt. I used the directions from Art for the Class and think they turned out super cute. The directions were perfect and I love that they used oil pastels and watercolour paints. 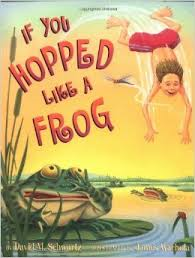 Which is actually a great book for proportional reasoning in math but I used it to connect how a frog leaps to what we could leap (Spoiler Alert!! If we hopped like a frog we could hop to the top of the Statue of Liberty). The book got our brains thinking so it did its job. 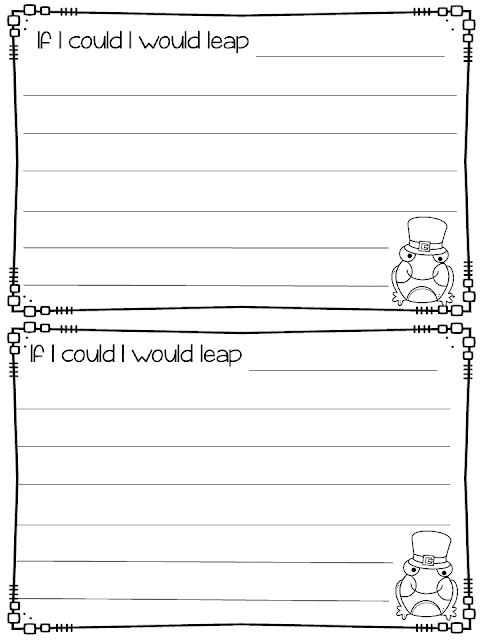 Click here or on the picture to pick up a copy of the writing prompt. We also worked on using a number line to add and subtract. Click here or on the picture to pick up a copy. On Monday we will be working on this math problem. We will make number lines to use as a tool to show our thinking. Click here or on the picture to pick up this problem. Last year was my first time teaching a Leap Day baby (in 17 years!!!) and tomorrow we are having our end of the month assembly and will sing happy birthday to him as he turns 2!! 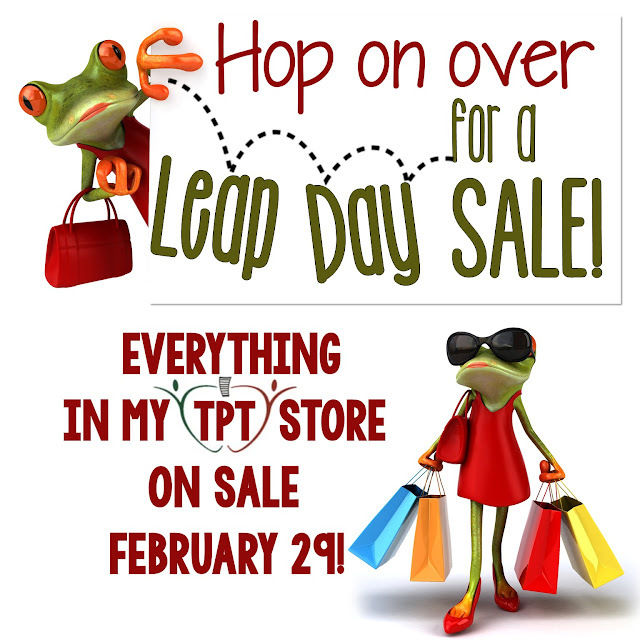 Last and not least, be sure to hop on over to my store tomorrow for a Leap Day sale!! Thanks to Jivey from Ideas by Jivey for this super cute sale graphic. Soooooo, as you probably know I changed grades last year and as you also probably know it threw me for a loop (hence, the rapid decline in blogging and sharing). But now I am in my second year in Grade 1 (well Grade 1/2 this year) and feel like I can see (and share) what works for me, my students and my classroom. I could focus on all of the things that have not worked....maybe start "Failed at it Friday" or "Totally Tanked Tuesday" but I figured I would start with the positives (but you know I will sprinkle in a few Failed it Fridays too - cause that is a great name!). So what's working in my classroom...Class Dojo. I started using ClassDojo last year at the recommendation of a parent/teacher. I was reluctant to try it because I thought there was no way I would be consistent giving out points and focussing on behaviour all day. Boy was I wrong. I LOVE it, I use it, my students respond to it and parents enjoy it too! I really do try to focus on giving out positive points. Our 2 biggest behaviours are self-regulation (huge focus in our class!) and following directions (first time, promptly, properly). This week I added Morning and End of the Day and Lining Up and made them worth a LOT of points because we hit a point were some students were still needing prompting for these activities (past the 100th Day of School!!!) and I just can not say "Stack your chairs, pick up garbage, agendas and lunch bags, then line up" anymore!! I like the class reports and that parents can see a similar report for their own child. 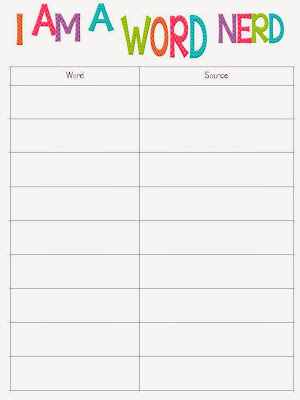 These reports are great for class meetings - to discuss problems or set goals. This year I am thrilled with how I am using ClassDojo for parent communication - I have 100% of the parents signed up - that is a first for me for any platform! I love using ClassDojo to message parents or share pics and quick reminders to parents. And this year ClassDojo added a series of Growth Mindset videos that I LOVE!! You can check out the videos here even if you do not use ClassDojo in your room. Last year I did have a 100 point board (inspired by this pin) but I found out some of my students did not like the added comparison and pressure. So I am not doing it this year - but think it may work for others. I have thought about having a ClassDojo store (inspired by this pin) but have not started one and think - if the points work as a reward do I want to mess with it. I love that ClassDojo shares their graphics with you so that it is easy to create additional rewards or certificates for your class. So that is it, something that is working in my classroom. I hope to see you back here next Wednesday (and maybe check in for a Failed at it Friday soon) but until then I would love to hear what is working in your room. Happy Saturday. I am very excited to share a project we have been working on in our classroom for the last few weeks. I am in LOVE with this project...it was totally engaging for the students, involved non-fiction reading and writing, persuasive writing, presenting and now will be a home-school writing connection!!! What you may ask accomplished all this, well, we adopted TWO animals. Okay, we did not really adopt an animal, we symbolically adopted two animals from the World Wildlife Foundation of Canada. I had heard of this idea before but I read this blog post from Mrs. Mathis and knew I had to try it this year. First we wrote down our ideas about what the word endangered means and added our thoughts to our Wonder board. Then we read some books that got us thinking about animals and the what endangered means. We came up with a class definition of the word endangered and added that to our board under what we know. 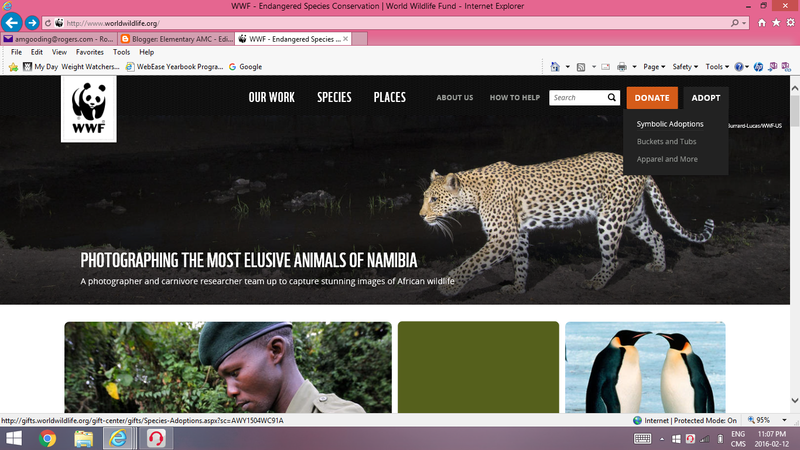 Our next step was visiting the WWF website (Canadian website) to see which animals we could adopt. At the website click on the Donate tab and then click to symbolic adoptions. I printed off the web page with the animal pictures to create a chart. After reading through the list students put their name on a sticky note and put it under the animal they wanted to learn about and adopt. After students selected their animals we began our research. We used PebbleGo to begin our animal research. I love that the site presents information at my students' level and that it will read the information to them. Students needed to record four facts about their animal and where in the world their animal lives. They wrote their facts on sticky notes and attached them to their research page. After collecting their point form facts we turned them into sentences. Next we used Kiddle to continue our research. Students used Kiddle to research why there animal is endangered by typing in the question "Why is _____________endangered?". I love using this site with my class since not all of them are strong readers and the information is presented in a visual format. 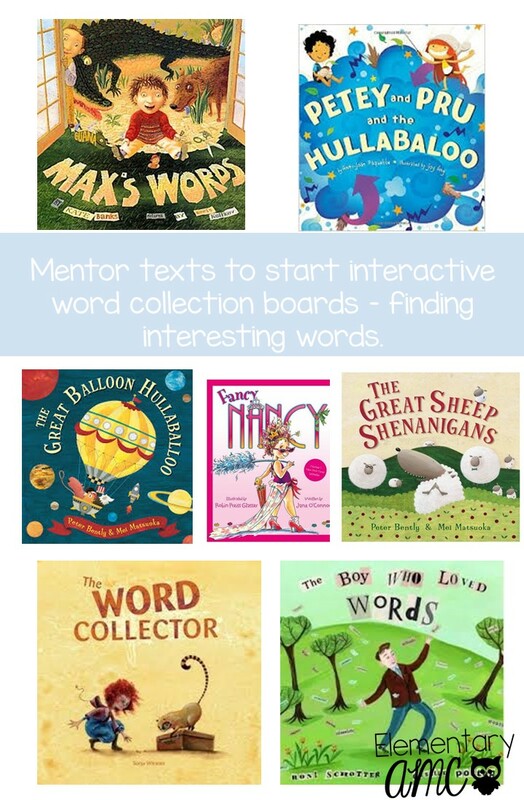 We also used Google Read&Write to have the website information read to the students. Again students collected facts. We tried to write at least two reasons why their animal was endangered since this information. After the students wrote 2-4 of their own opinions about the animal and why they thought it should be adopted on sticky notes. Some wrote because it was cute and cuddly others thought of how the animal was important to their habitat or other animals. Finally they put the facts and their opinions together into one persuasive argument. They took turns reading their argument to our class, but the vote was too close to call so we read them to our Grade 2 neighbours. I was so proud of them, how much they learned and how passionate they became about adopting their animal. Finally we had our final results, we adopted a koala and a giraffe. Each animal cost $40 to symbolically adopt. We adopted them together online on Thursday and I could not believe it, but they arrived the next day!!! I had told my students it would take about 2 weeks for them to arrive so I decided to put them into our mystery box (we are working on making inferences and using the mystery box from Abby Mullins in our class). The students were given four clues and made their guesses. The students were so excited and everyone wants them. So everyone gets them....for a few days! I am sending the stuffed animal home in the super cute bag it came in, with the information poster it came with, with two books (one non-fiction, one fiction) and a journal. Students will write about all the adventures the animal has while visiting their family. If you want to use the simple templates I made for this project you can pick them up here.